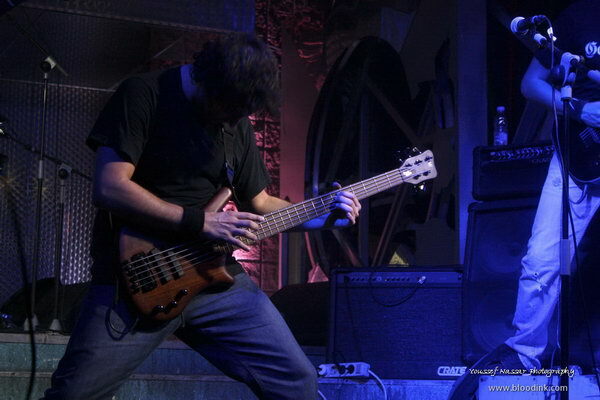 Roy Naufal’s name is familiar to everyone in the Lebanese Metal scene: he’s the sound engineer of many if not most local Metal concerts, Blood Ink’s bass player and RockRing’s founder / manager. Aside from that, he mainly works in web / software development and has recently setup his own company. The following is a in-depth interview with Roy. Tell us about how you got into Metal and when you started playing. I started off by being a Rock fan since my early teens. That eventually led me to Metal around the early days of high school (1999-2000). That’s when I grabbed some of my sister’s CDs for Scorpions, Nirvana, Guns N Roses, Def Leppard, Aerosmith, etc…so they led my curiosity. I always had interest in playing an instrument, but guitar never struck me – I once received a guitar as gift, but it barely got my interest. At one point I had an accordion that I liked, but I didn’t really pursue it. Around 2002, just around the dates when we started the band, a friend suggested I try bass, so we went to the music shop to check it out. The moment I grabbed it knew this was it, and I bought it on the spot. I like the groove and I like what holds the music together…I’m learning drums as well. 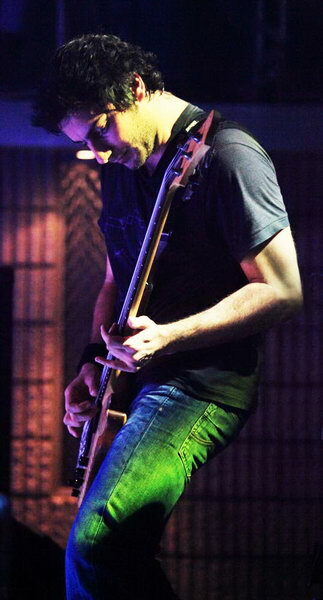 Most people recognize you as Blood Ink’s bassist. Can you give us a brief biography about the band? 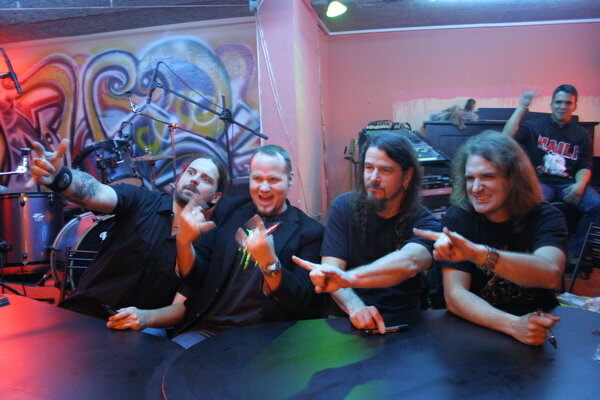 The band initially started off as something for a school fest. It was Rabih’s idea (our vocalist) and we worked on it. I knew some musician friends so I contacted them and we formed the original lineup. That was a few months before I actually started bass (we had a keyboardist at the time, who switched to drums and I took on bass). 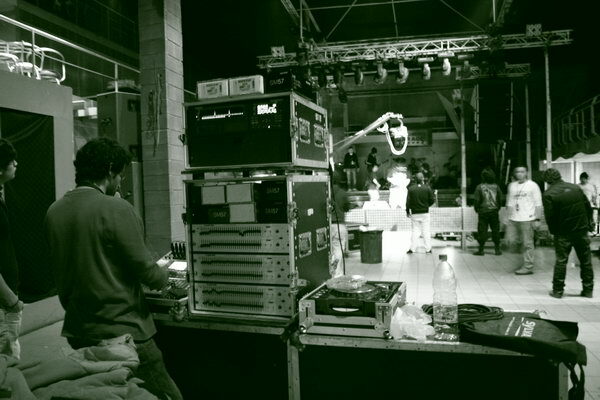 At first, I only managed the band and took care of the technical stuff. It is shortly after that I started bass, and things mainly started moving on from there. 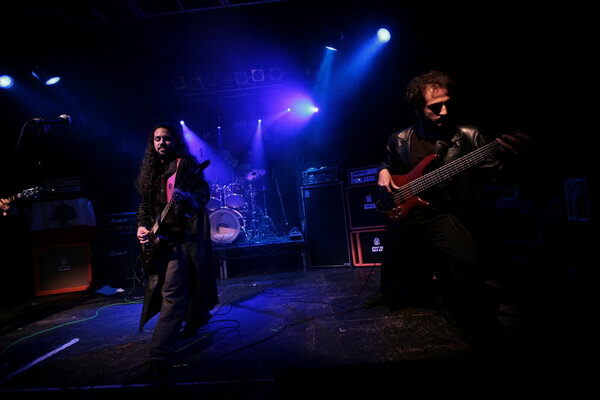 By now we’ve played over 50 concerts, several outside Lebanon, released an album in 2006, had a distribution deal in USA for a year, and about to release a new album around end of this year (expect some real good stuff). 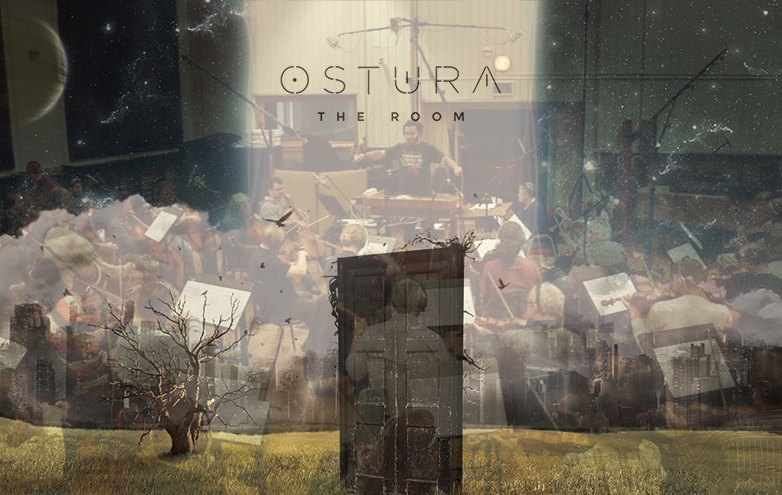 You can check some teasers from the upcoming album and more info about the band here. It’s known that music and especially Metal events are not really good business. Can you tell us a bit about your work and your background? My real work is in web development. I got into the domain in 1995 when I was around 11 (I started using computers in 1989). At 13 I had my first client (1997 –that was just 1 year after html tables were created!). I’ve been working in that domain since. I then got my degree in Computer & Communication Engineering. When I graduated, I worked for about a year in a company as senior developer then I quit in November (2010) to start my own company. It’s a dual project with Rabih (our vocalist) as partner. He’s a graphic designer, so it’s an ideal combination. I also am head of internet and development in Notre Dame de Louaize school. 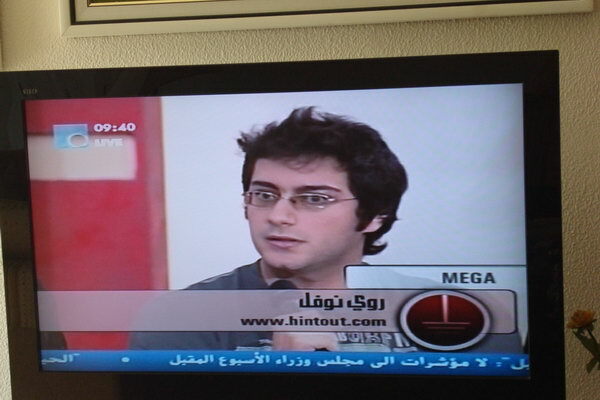 Also, I’m cofounder of a new startup (www.hintout.com) which will be launched real soon; we won as best internet project in the Yalla Startup Middle East competition in November. How about non-work related activities? Can you tell us a bit about your hobbies and day to day life? Most my hobbies tend to surround what I do & work (computers, internet, music, events, and sound). 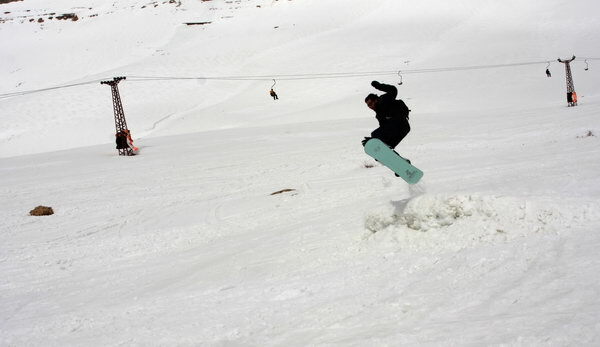 When it comes to sports, it’s usually ski/snowboard, so I like to spend winter on the slopes. I also like swimming, cycling and American football (but don’t get to play that much). Am not too much into other sports (soccer, basketball, …). As for activities, I usually cruise around a lot, I don’t like staying put in 1 place, so it’s always from one random place to another. I like touring and road trips. I’m more of a fan of friendly hangouts than clubbing and such… I like checking out new stuff always, whether it’s new places or new bands. I like collecting gadgets and electronics, so I tend to have a lot of random stuff. I read a lot, but mostly science based stuff, I like understanding everything that revolves around that. 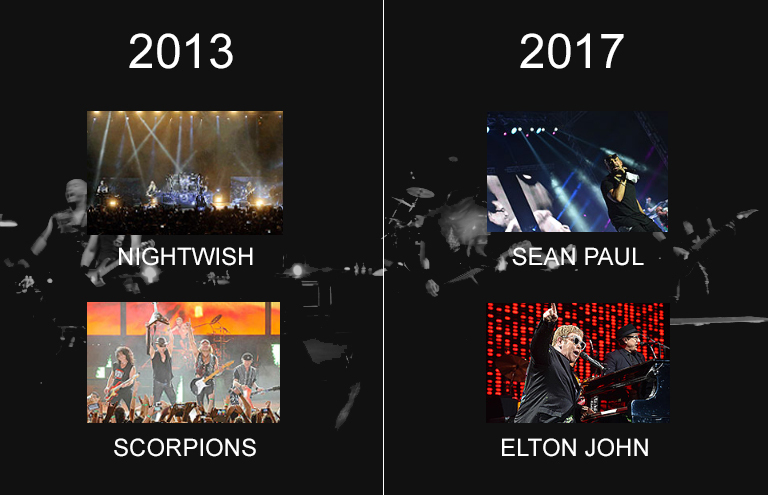 During the past five years, it’s obvious that most of the successful local concerts were organized by Rockring. Tell us more about how it all started and about your early goals in the beginning. Success comes from passion to do something and not doing it as a ‘job’. That’s why I think our work turns out good, because no one of us does it for the money (in most cases it’s very little – that’s why most other organizers who used to do it as business stopped). We all work out of passion. 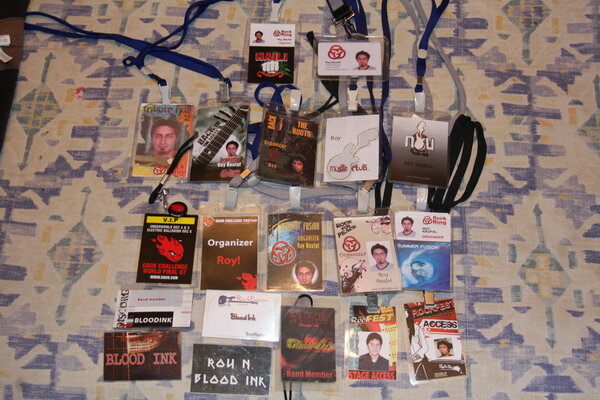 Things started in the early days of Blood Ink (2002-2003). There were almost no concerts that we could play in and it was hard to get into the big concerts of the days back then (2002-2005, such as Rock Nation) so we either had to wait or do things on our own. I never really liked counting on anyone, so I started organizing my own events so we could play live. Most those concerts were in La Cite, with bands such as Void, Kimaera, Post Mortem, Farewell, Blood Ink, and few others. Most these bands were still starting up at the time. Then I stopped events for about a year (when we got busy with our first album). That’s when I really started getting into sound – I initially had some experience in audio through my work on websites and multimedia projects. I also worked for a while in a radio station and TV station (this was before I was 17). 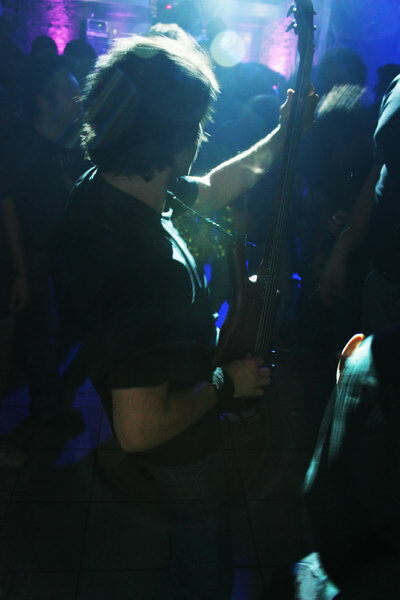 Then the events thing ignited back in 2006 with the 1st Back to the Roots… We (Maher Mardini and I) were at Cherry’s having a drink and we randomly joked “let’s do a concert”, so I was “yea…let’s call it hmm….Back to the Roots…then we get those bands we first started playing with and do it at the same location”. That’s how we did the first Back to the Roots, with the bands mentioned above playing at La Cite (that’s the meaning behind the name Back to the Roots). It got around 650 people, it was officially the first big concert I do and first live concert I handle with sound. That was before the Rockring name came to be. 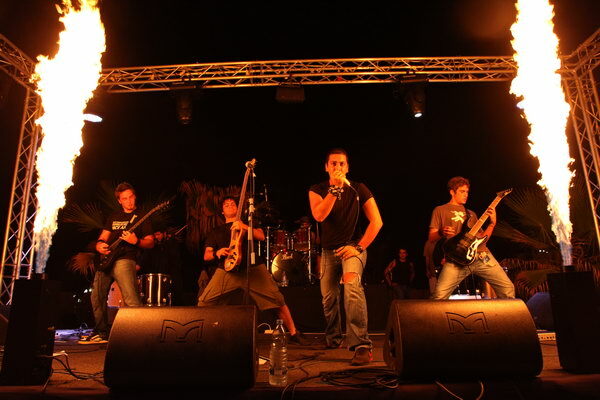 The year after, I got Global Battle of the Bands to Lebanon for the first time, started the Rockring name, and things moved on from there as ‘Rockring’. For the past few years, RockRing has been the main organizer of local Metal concerts regardless of what little support the scene has to offer. What motivated you to keep on going with this, and what difficulties did you face? Well the motivation is mostly in doing something you like; it’s not really for business. If I was doing it as a business I would have certainly stopped quite long ago. I mainly do events because I like it and like to help out as many bands as I possibly can since I come from a band and I know how hard it is to get things going and to play in decent events. Because of that, I try to give bands what I was able to give my own band by sharing the knowledge and aiming to provide bands with some decent concerts. At the same time, the aim is to try to spread the music further. Even, after every concert we try do a nice gathering & get everyone together and to know each other. For example, after last Summer Fusion, we invited all the bands and staff to a dinner with midnight swim, beer and barbecue. So it’s about spreading the music and trying to help out the bands – I do it for others more than myself and some might find that hard to believe. There’s all sorts of conspiracy theories that come out because of that. Then you have the people that talk behind your back, those same people you aim to help. But there are much more people on the other side. But sometimes I get sick of that. I’m not sure if I’ll be doing anything after GBOB. I’m thinking of taking a break for a while. When it comes to public and sponsor support, there’s almost no support whatsoever from sponsors as such, but the audience is increasing. Also, in the past few years we’ve managed to get the attention of sponsors, because throughout the years we aimed to increase the level of production and ‘size’ of the concerts so they can be big enough to interest a more widespread public & sponsors in the aim of expanding the scene (this compared to cheap underground events that do not interest anyone outside the ‘circle’). But it is still far from enough! In parallel, when you attract sponsors you also attract media, so events are also being covered more than before. One issue at hand is that, for sponsors, a 10-20$ event is too cheap, the event is not deemed of ‘quality’ because they are used to electro-music events where the cheapest ticket is 30-40$. On the other hand, concert attendees find the 20$ ‘expensive’, whereas a concert costs easily 3-4 times more than DJ events. So that makes it real hard to get more sponsors and, as consequence, makes it harder to make better quality concerts. 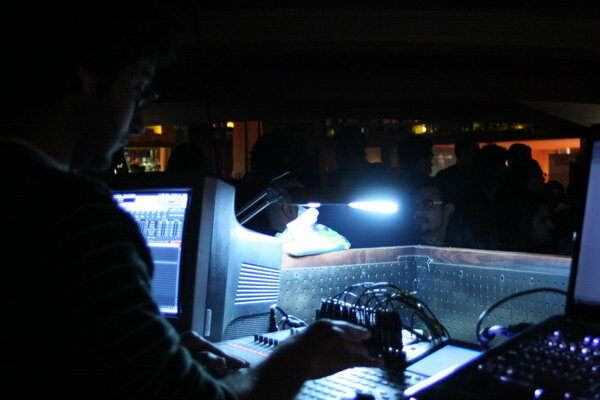 In most local concerts, we see you operating the mixer. 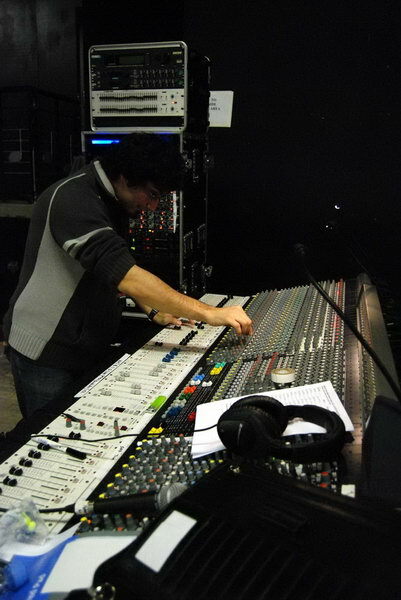 How did you take on learning sound engineering, and do you think it’s a decent job in Lebanon? I started working in web & multimedia when I was 11, so I got some basic knowledge of audio work because of that (doing sound effects for animations and such). I also had a lot of interest in setting up systems, speakers, working with cables, soldering wires, etc…so I had this technical orientation since I was young (when the band first started, sound was one of my main things). Then with the band, we reached a point where we needed to record. There were no suitable or affordable studios at the time, and the quality we heard with some bands recording at big studios was crappy, so I decided to do it on my own, not wanting to count on anyone. So I taught myself for about a year (around 2004) before actually recording our album, and things moved on from there – surprisingly our album was one of the best sounding (locally) at the time. I also read a lot, and I’m always curious to understand what I do not, so this same curiosity drove my learning skills further (that’s also how I learned bass). 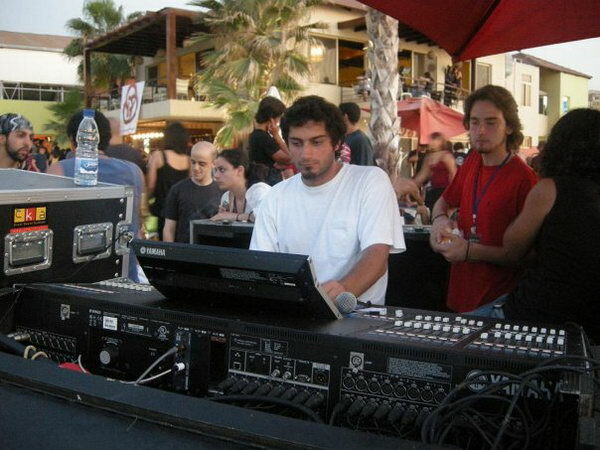 Then I slowly progressed into working in live events, mainly due to the lack of any sound engineers in Lebanon (since most sound engineers only work & understand Arabic music), so I had to take charge of things myself because I aimed for better quality, and I knew there was no other way unless I did it myself. 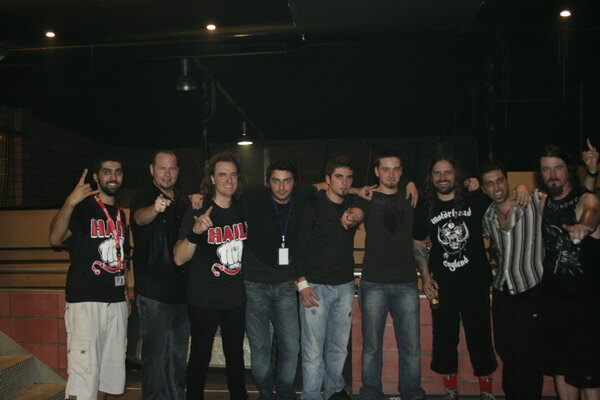 I’ve worked with many local bands, bands abroad (Jordan), some international artists (Hail! & Jeff Martin), and random artists such as those in weddings. So, today, I have about 10 years of experience in this domain. I’ve worked in over 50 concerts live (also non Metal, I occasionally work other events) + have recorded many songs for several bands. 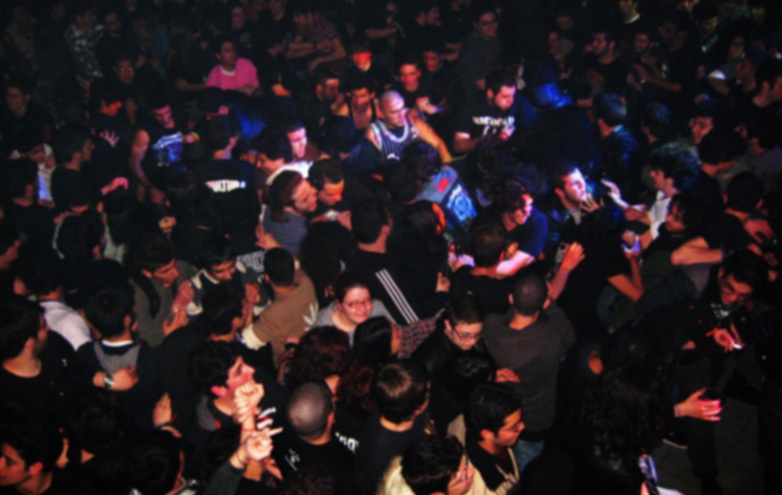 The HAIL concert in November 2009 is one the most recognized local concerts so far. As far as organizing is concerned, how did this concert differ from the ones with local bands only? Was it a good experience? Did you get any profit from it? What’s important about HAIL! 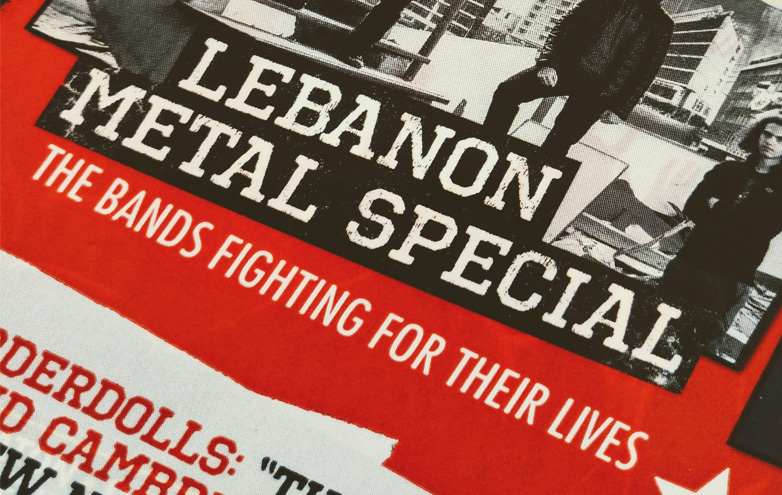 is that it got some of the biggest metal names to enter Lebanon. The moment we got in contact with them we thought that this is a must do, Lebanon needs this. The main difference compared to local bands is that you have to worry about the band’s transportation, accommodation, and standards. For example we had to get Andreas Kisser to Lebanon on Monday (a week before the concert) because the ticket from Brazil on Wednesday (the day the other band members came in) was actually more expensive. So paying an additional 2 nights in Lebanon was cheaper than getting him on a Wednesday! So that means we have to care of him for a full week, which is a full time job – the rest of the band came on Wednesday, so we had to organize a full week schedule so they make the best of their stay here. Having such high caliber people around you, you have to make sure their stay is up to standard and enjoyable. We put them in Hotel Royal (got them the rooms that had their own terrace and pool). We had to take care of them for a full week, get them around and such, so we had to be tour guides in parallel, which was very tiring for me, I had to split myself in two. The members themselves are amazing people, and Paul Bostaph is one of the most humble people I have ever met. What was interesting about the event, for me, is that they assigned me to be their sound engineer, and that was a very pleasurable experience. What’s ironic is that I have much more trouble working and soundchecking local bands than I had with them. This considering that getting their sound right is a very critical process so initially I was thinking that it will take some time to do! They know what they want and the sound they want and they are very easy going people. They know their sound, they know how to set it up; the sound engineer just has to amplify & balance it, not create it up for them. Paul Bostaph was all the time “it’s ok guys, if you don’t have X we’ll manage without it”, at one point we were joking that he’d be ok about playing without a drumset! We had some very minor profit from the event, specially that we couldn’t get much funds from sponsors. This ‘profit’ excluded our fuel & phone costs, I had to take 1 week off work, so did some of the other guys in Rockring, so technically speaking, if one is to consider this from a business perspective, it is not good business, but for us, we’re doing it as a passion and for the fun of it. We did something positive for the country, for the people. Everyone had a blast, including us, no one lost. So, that, for us, is success. 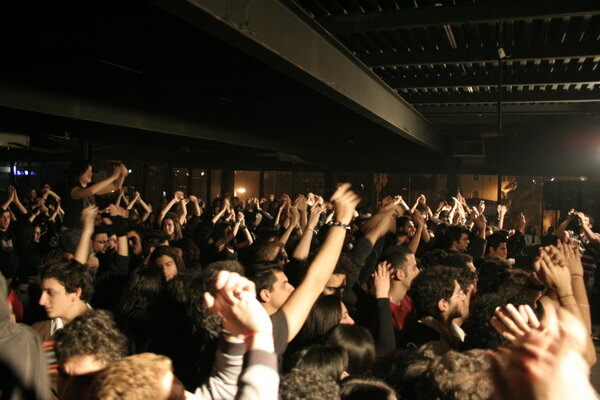 Do you have any plans to bring HAIL or other international bands to Lebanon anytime soon? Most of the issue is that Lebanon is small, attendance isn’t too great, and there’s no real financial support from sponsors. Most bands are simply too expensive to be realistically feasible without losses. The only way that can be done is if you are well backed up. For example Jyad El Murr can effectively work with bigger artists since he has high level contacts and the finances to be able to get big bands; we count on him for that. As for us, we’re just regular people and students doing what is possible within our reach. Getting a big band requires you to pay over 30,000$ in advance, that’s beyond our capabilities, and underground bands barely gather enough people. That’s why not many are seen in Lebanon. It’s all a matter of money, starting with the bands, it’s all about who can afford them – other issues are minor compared to that. We heard before about RockRing’s music club. Tell us more about it and how people can join. The Rockring Club idea came back to me last year. 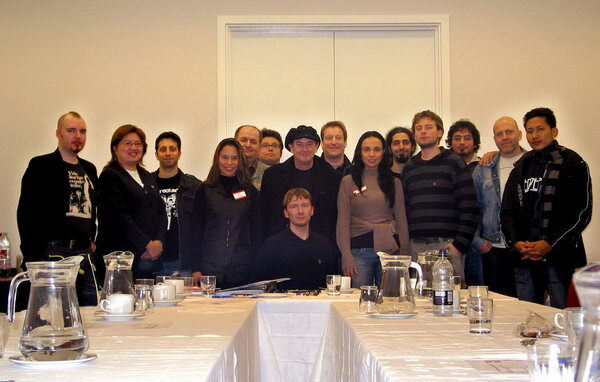 It initially came to mind back when I started a band jam room (Spectrum – we even had an online booking system!) back in 2007 which I then stopped (due to bands not respecting the property and equipment, so why provide quality to people who do not have the ethics to maintain it?). Then I thought I might do something a bit more interesting to eventually include such a concept again but only for members who at least are part of the effort and can appreciate things. Its main aim was workshops related to different musical aspects and band stuff, it also would provide discount to members at different places such as Mozart Chahine, Circl8, Maison Du Ski, Quicksilver, Cluckster’s, and other places we were still discussing with. As well as provide the members with a place to practice and record for low cost. We started off with around 30 members, which was a pretty good start (there was a basic membership fee). We did about 6 workshops last year. We had to stop the work as soon as Summer ended because it was hard to get the members to workshops each having their own schedules, work & studies. We’re still not sure if we would go on with it again this Summer as it is quite time consuming and I will be mostly busy with GBOB. 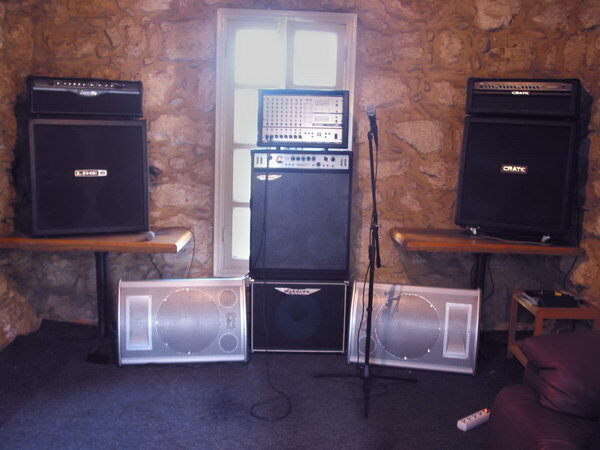 You once mentioned that you were planning on setting up a studio to record, mix, and edit songs for local bands. How is that coming along? Well, I currently have all the equipment needed – and some pretty high quality ones I may add. I’m already working with some local bands (Monarchy, Limelight, Oblivion, Blood Ink + all the live concerts I record – I’ve recorded over 40 live concerts and bands). I still need to setup an actual studio room and I’d be fully set, but I’ve partnered with Phoenikia Studios for acoustic needs (such as live drum recordings). In Lebanon, specially Rock/Metal, work tends to be real cheap, so I am not sure if I will actually expand into a full official studio, for now I’m keeping it somehow more of a ‘professional hobby’. Already my main work is in web development, I cannot take out too much time for others, because fact is, not many properly appreciate it (considering that you’re not really getting properly paid). Getting 200$/song that takes 10-12 hours to record is too little (my job gets me that amount in 1/8th the time). That’s why I tend to keep my studio work a bit limited to friend bands. We all know now that RockRing is busy with the international GBOB competition. Tell us more about it and about RockRing’s role in it. GBOB started in 2005; it’s the biggest live band competition in the world with 35 countries participating this year. We got it to Lebanon in 2006. There’s a license fee that is paid by each country. 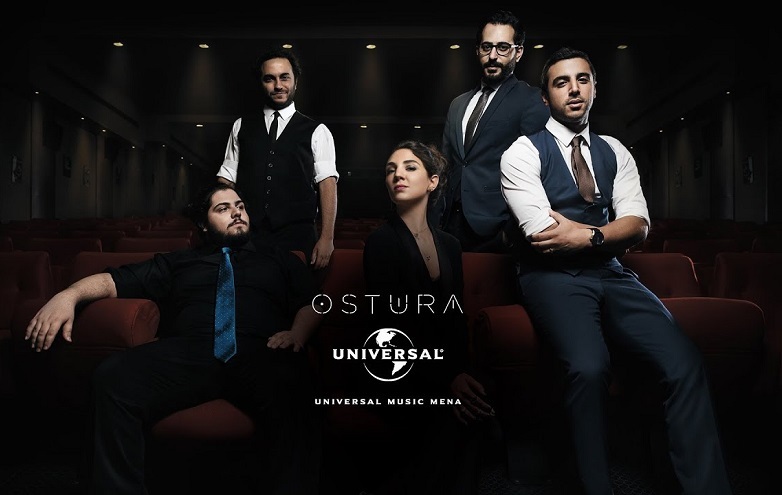 When I first found out about it, it got me excited because in Lebanon, Rock/Metal bands basically don’t have much exposure and it’s not easy to go abroad, so I found it to be a great chance that I can give to bands. It is also a great experience pushing bands to their best, and from our past experience and the current, we have really seen bands outdo themselves and improve so much in short periods of time. 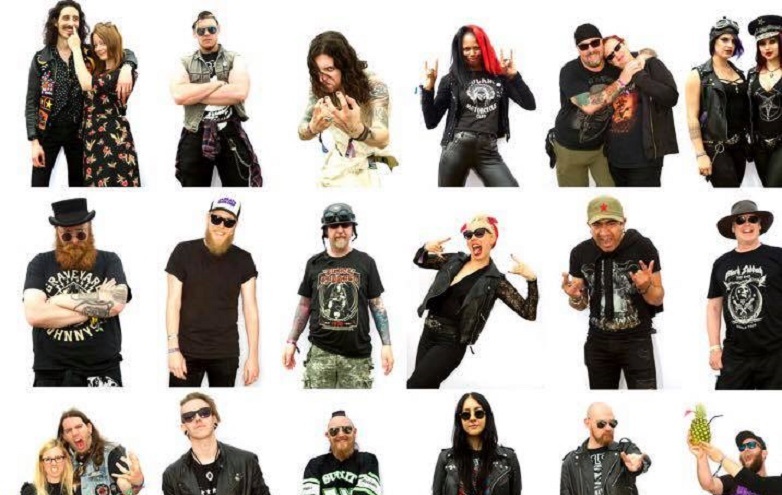 There are 29 bands participating this year! We would have liked more of the local ‘big’ bands to participate, there’s only a few; most participating bands are relatively fresh and at most few years old, but there are many very good ones. At least we’re giving everyone a nice opportunity to take part in the experience of their lifetime! 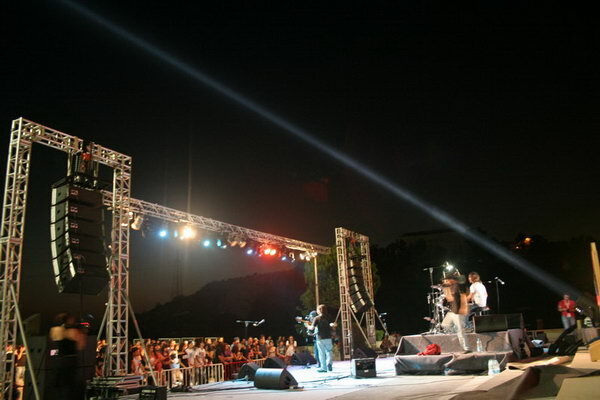 In the 2007 GBOB competition, Blaakyum represented Lebanon. Who do you expect to take their role this year? Do any of the competing bands match up to their level? It’s really hard to tell…there are many real good bands and of many styles. Some bands are more likely not to make it than others, but who will make it is a tough question. I can’t even make a wild guess, especially that several bands will be playing some very original material. Finally I would like to thank you for your time. Do you have anything more to say to LebMetal.com readers? You’re most welcome. I’m counting on the new generation to continue with better and more mutual respect mentality. Music and bands is not a competition, it’s a passion and everyone should work hand in hand to promote the music scene and push it forward, and there is no other way to do that. There are not many people who think like that, there should be more. It saddens me to see people and bands talking about others negatively simply because they don’t like their style. Music is subjective, but it doesn’t mean one is not to respect & support the work of others. Also, people should be patient a bit, they expect things to dramatically change and improve overnight, they have to give it some time.